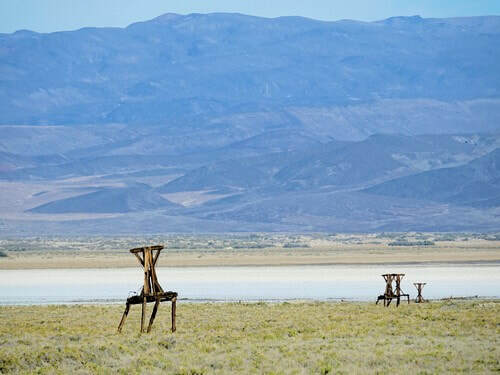 See the remains of a 13 mile tramway that carried salt from a salt lake in Saline Valley over the Inyo Mountains to markets in California. 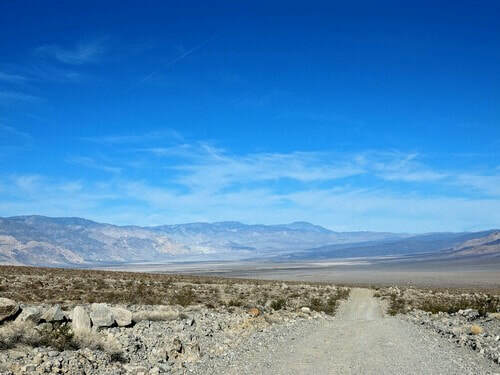 This trail gives access to a large area in Death Valley, but is also an interesting trail in its own right. 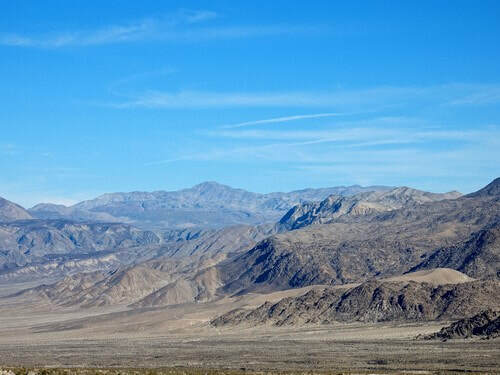 A salt-carrying tramway, sand dunes, a salt lake and stands of large Joshua trees. 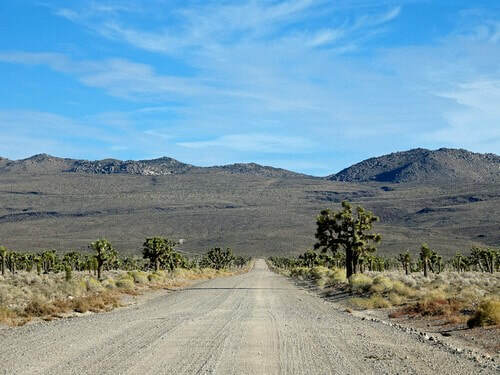 The first portion of the road is wide and well graded as it winds through the Santa Rosa Hills and across Lee Flat. 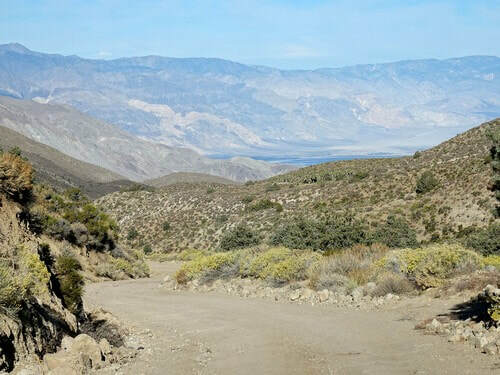 The road gets narrower and a bit rougher as it climbs into the Nelson Range, offering great views of Panamint Valley. Note the Dunes in the lower left of the photo. 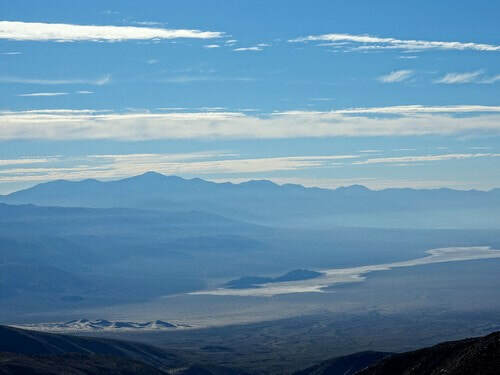 Dropping down from the Nelson Range offer views into Saline Valley. 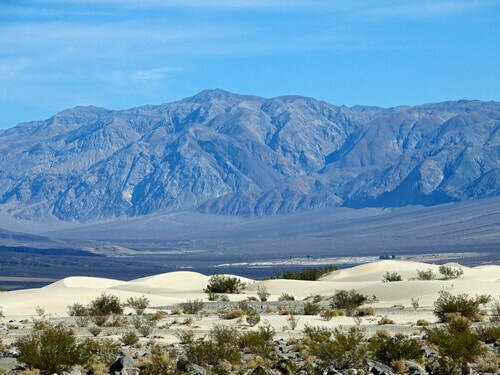 Saline Valley is a huge basin in this area of basin and range topography. Last Chance Range towers above the other side of the valley. 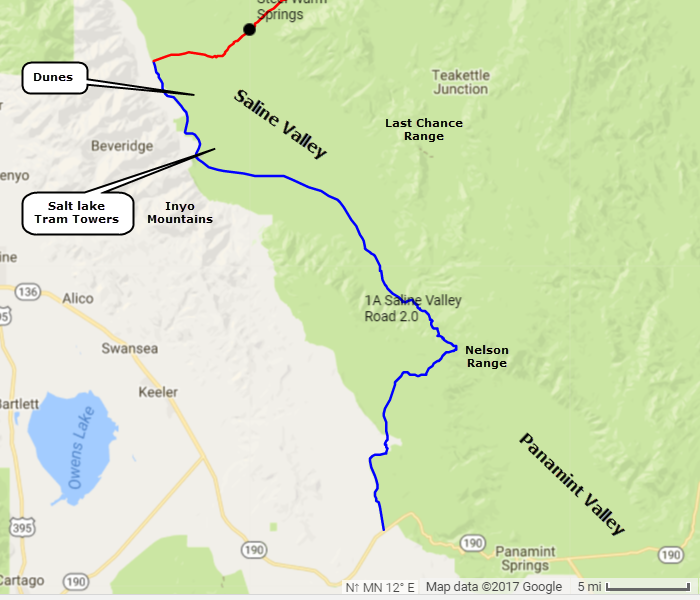 Designed to be the steepest tramway in the United States, and recognized as an engineering marvel, the Saline Valley Salt Tram ascended 7,600 feet up the eastern slope of the Inyo Mountains then descended 5,100 feet to the Owens Valley. 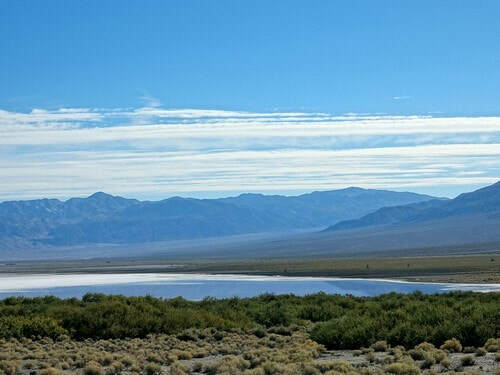 ​There is a set of dunes beyond the salt lake. Our map calls them "The Dunes". 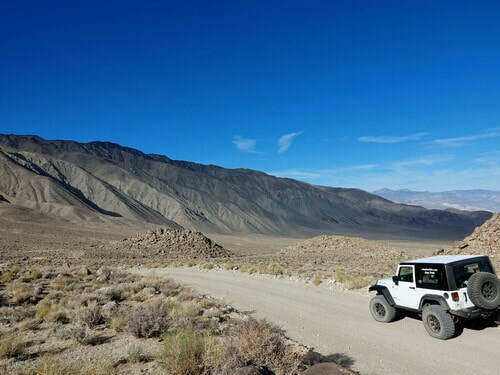 This road appears to continue to Big Pine, but we turned up Steel Pass.